It's going to be a scorcher of a summer this season, but before you bust open that fire hydrant, let us cool you down. We've utilized some of the best, most delicious, produce the summer season has to offer to create the ultimate cooling, refreshing, hydrating, drinks to quench that thirst. Whether you're stocking up for the beach or sippin' in the city, we've got just what you need to beat the heat all summer long. Check out our summer specials and what we've got going on this July in the details below. The Fix: Excessive heat have you dragging? This is the drink for you! Packed with freshly pressed watermelon, this refreshing treat is packed with natural electrolytes for hydration. Mint and aloe cool and soothe the systems while a zip of lime helps alkalize the body. With a boost in energy from green tea, Heat Wave will have you calmed, cooled, and ready to take on the summer! The Fix: Ditch the ice cream this summer and pick up this sweet treat instead! Pineapple and turmeric are both powerful anti-inflammatories that help soothe aching joints. Mango is chock-full of antioxidants that help promote skin health, digestion, and alkalize the body! Add a serving of non-fat greek yogurt for a little protein boost and you've got yourself the ultimate summer treat. Want insider deals and discounts? Join our mailing list for special promotions! Believe it or not, Sip-N-Glo turns 5 this month. I know, we look good for our age! We thank the juice for that. We are humbled and overjoyed by the amount of love and support we have received to get us to this huge milestone, so we're celebrating BIG time! From birthday cake smoothies to FREE JUICE DAY, with a big surprise in between, we've got our party hats on and are ready to make this month so special for our amazing customers and community! Check out what we've mixed up and details on our annual Free Juice Day below. The Taste: Who said birthday cake had to be filled with refined sugar and additives? This rich and delicious smoothie tastes like a birthday cake without the guilt! The Fix: Packed with protein and healthy fats, this smoothie will give you the energy to celebrate all month long all! The Taste: Perfectly balanced between sweet and tart, this spring treat packs in the citrus along with earthy carrots and just the right amount of sweetness from strawberries. 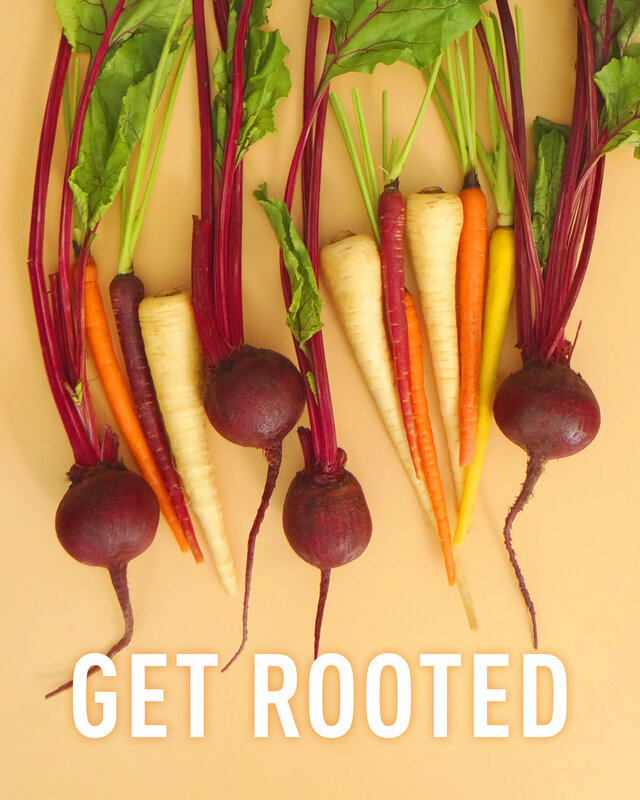 The Fix: Summer is in sight, finally, and we've got the juice to get you Glo-ing from the inside out! Packed with vitamin C, antioxidants, and collagen, Main Squeeze will help you shed your winter skin, leaving you with that bright Glo, ready to take on a new season! Broad Street Run: Running Broad Street this weekend? Pick up your pre and post race essentials here! Bring in your bib, Friday, 5/4 through Monday, 5/7 for $1 off your drinks! Free Juice Day: It's the most wonderful time of the year! We are hosting our annual Free Juice Day in celebration of Sip-N-Glo turning 5 on Tuesday, May 15th. Free juice starts flowing at 11:00am at all locations while supplies last. Come one, come all! Exciting Changes: Now, now, no one likes a spoiler, but I can say that we've got some BIG, EXCITING, changes coming up in the first week of May! Keep an eye our for details. Making those New Years resolutions last through January can be the toughest part, so we're here to help you through February AND March with our 2018 Glo Challenge. Introducing the 2016 Glo Challenge! We are SO excited to introduce our Glo Challenge! Starting a new year has many of us creating healthy goals. If that’s you, you’ve started and you're on the right track to creating lasting, healthy habits and we want to challenge you to keep it glo-ing all through February and beyond! The Glo Challenge is a program where you enjoy a 16oz juice or smoothie from either Sip-N-Glo location that will be kept track of on a punch card. If you do not have the time to come in everyday, we welcome you to buy in bulk for the week and it will be honored on the punch card. Statistically speaking, just 8% of New Year’s resolutions are achieved. We wanted to create a tool to keep you on track for your goal this year. With the Glo Challenge, those healthy resolutions you set for yourself January 1st become habitual when incorporating a wellness drink into your daily routine. Whether you simply need more greens or are seeking eating habits, we have your back. At Sip-N-Glo, we believe in making health enjoyable and accessible. Join us for the month of February as we challenge you to continue keep moving into a healthier lifestyle with our Glo Challenge. Have you ever woken up in the morning after a full night’s sleep feeling refreshed and revitalized? Let’s have you feel that way everyday. Consuming a juice or smoothie surges your body with essential vitamins, nutrients, and live enzymes that give you that natural pep in your step. Each one of our juices is geared towards specific health benefits, enabling our products to meet the needs of every individual. Need a little more incentive? Those that successfully complete the Glo Challenge will receive a $50.00 gift card to be used at either Sip-N-Glo location. This way, you can keep these healthy habits going EVEN LONGER! We encourage you to approach our Glo Challenge with friends! The more support, the better the results! 29 days, 29 juices; let’s create healthy habits together. Sign up in stores today! Happy Birthday Sip-N-Glo! Free Juice Day & Customer Appreciation Party! We want to thank you for a year of juices, smoothies, apple cores, pineapple chunks and beet stained fingertips! Thanks to you, our yummy juices and shakes can be found all over the city and we’re working on carrying more local goodness to make your trip to our little home a million times better! For giving us all of your love, we want to give you a little special something back. On May 13th from 8AM – 4PM we’ll be serving up the Glo! On us. You can choose a 12oz Glo Up or a 12oz One Love. Our regular menu will also be available until 4pm just in-case you want to treat yourself to something yummy. At 4PM that day, we'll be open for our Customer Appreciation Birthday Party after party open to ALL CUSTOMERS! There will be assorted snacks and juice cocktails available. We love you so come celebrate with us! SHARE YOUR GLO WITH THE ONE YOU LOVE! Our Glo Gram is the perfect Valentine's Day gift for the healthy loved one in your life! Includes: Sip n Glo Mason Jar, beautiful flowers, gift card for One 16oz drink (juice or smoothie! ), and delivery! Seriously. We love Tuck. He is the embodiment of sunshine, knowledge and happiness. Just seeing that smile makes us feel great. And it’s not only his charm and good looks that we swoon over, it’s his ora, his brains and his willingness to be there and help. Never do you walk in with a question about health or nutrition unanswered. He tells us what our bodies need, whether it be more ginger in our juice or a double shot of wheatgrass, he truly cares. Here at Sip-N-Glo we are pumped to say that we will be nominating Tuck for the Be Well Philly Health Hero. He’s our go-to wealth of smarts and will actually be a licensed nutritionist at the end of the year! Join us and vote for the amazing Tuck. A little piece of us doesn’t want to share, but we know the world needs a little Tuck in their lives. That’s what we think of when we think of our dads. They’re strong and they’re sweet. We’re mixing up a little love for dads this Sunday and we’re calling it The Strong & Sweet. Almond milk, bananas, spinach, peanut butter, chocolate protein powder and a whole lot of love. Also! Free Drink ALERT: Bring in your little one and get a free kids drink with any regular purchase on Sunday.